As you are preparing to have your dream home built are you allowing the builder to make all of the decisions on who will provide the building construction drawing? Should you be getting a free drafting quote to compare with the cost the builder is telling you the plans will cost? There are a few factors you may want to consider as you work on the final designs for your new home. Who Should Be In Control of Your Home Plans? The first question you may want to ask is who is going to have the ultimate control over your building plans? It is not necessarily a bad thing for the builder to have that level of control, it just means you have lost part of your own control. 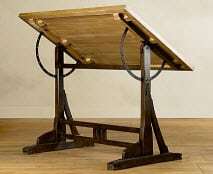 When the builder’s own drafting person creates your drawings you may have less say in small details. You may not be asked questions which an independent provider of drafting solutions would. This is because the builder’s drafter knows his preferred methods of building and will design the house to fit into those processes. The second pair of factors to be concerned with is cost and changes. 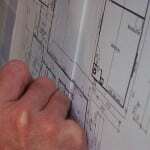 The builder’s price for the drafting plans may be included as part of his getting your business. What happens if you choose another builder? Then commonly the builder either charges you for the plans, sometimes at a very high rate, or you start over. Making changes can also add to your cost. 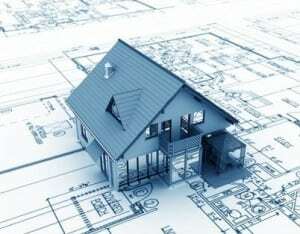 Many builders will charge extra for any modifications to the plans after the initial creation. 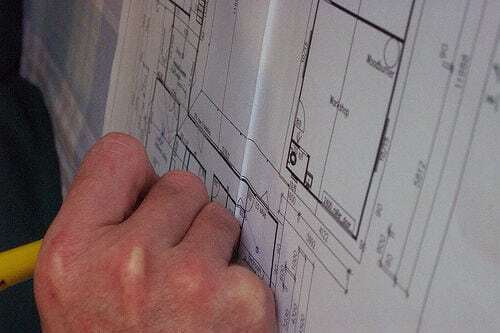 Drafting Concepts in Sunshine Coast and Brisbane specializes in working with both builders and buyers as an independent provider of drafting solutions. When the home buyer is the one who contacts them their focus stays with the buyers’ interests while consulting with the possible builder. The plans stay in the control of the buyer. A second part of their plan which adds a safety net for the home buyer is their policy of allowing two changes to a drawing without additional charges. You will find this mentioned when you visit their site and fill out a request for a free drafting quote for your home design. When you get a drafting quote from an independent company you need to make sure what their focus is. With Drafting Concepts they focus of bringing the ideas and interests of the home buyer in line with the needs of the builder. Sometimes the ideas a home buyer has on their mind are more complex and costly than they imagined. This is where a great drafting company helps out. They can explain how their ideas are going to add complexity for the home builder and add to the cost. They can point out how it will affect the cost of the needed materials. You will quickly discover as you start reviewing drafting quotes from builders and independent drafting companies that there is a big difference. The difference is not as much about cost as it is about understanding the home buyer, the local market, and the ability to communicate. 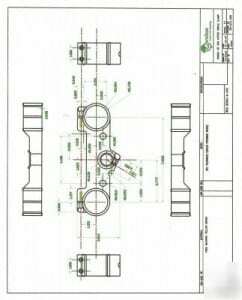 You should always select to have your building construction drawing completed by a company who will work as your partner in the project and is not afraid to tell you when you are ideas might need to be modified. 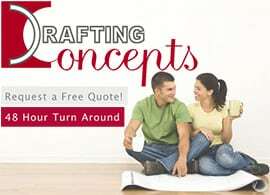 Take a few minutes to review your drafting quote, and then choose a company like Drafting Concepts who takes the time to learn your real desires and works to make your home comfortable, efficient, and economical.